New England is expecting highs in the 80s even as the tropical storm rages through Texas. Chris Gloninger report on the latest from tropical storm Harvey. Pete Bouchard has the local forecast. Harvey is one of four category 4 or higher hurricanes to make landfall in the United States since 1970! 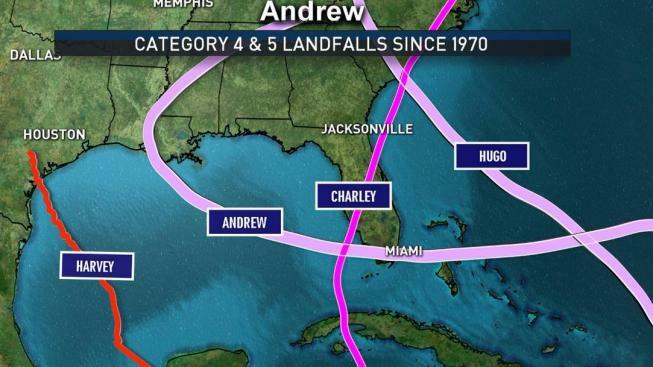 The other three: Hugo (category 5 in 1989), Andrew (category 5 in 1992) and Charley (category 4 in 2004). All three storm names were retired. Hurricane names are retired if the hurricane has caused loss of life or extreme damage. Chances are, this will be the last Harvey we see. Harvey made landfall around 11 PM eastern, 10 PM central. Port Aransas recorded a peak gust of 132 MPH. You might be wondering why there weren’t stronger winds. The strongest winds are confined to several miles outside of the eye in the eye wall. Many weather observations are taken via automated stations – when the lights go out, the stations stop working. Those are the two reasons we didn’t see higher gusts recorded. Doppler radar estimates are showing more than 15” of rain over the last 24 hours. We will see another four days of rain. It will get lighter and more scattered by midweek, but up to 60 inches of rain will be possible! The state record (and National record) for Texas during a tropical cyclone was 48” in 1978 during tropical storm Amelia. That record will likely be in jeopardy. Our weather will be beautiful for the next several days. We need to keep an eye on Wednesday and Thursday. There will be a part tropical/part nor’easter system moving up the east coast. At this point, it should move safely out to sea, but the latest trends have taken the storm closer to the coast. 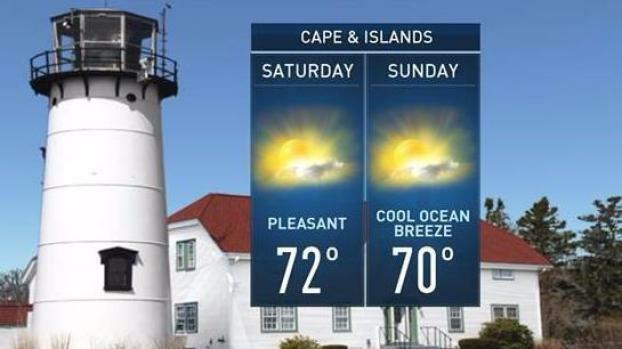 Next weekend is the unofficial end to summer and temperature warm up nicely. Tonight: Clear. Cool. Lows in the mid to upper 50s. Sunday: Sunny. Cooler at the coast. Highs in the low to mid 70s. Monday. Sunny. Cooler at the coast. Highs in the low to mid 70s. Last year we were talking about a tropical storm, this year will be sunny and 80°. Enjoy!